Grab attention in this ultra glam dress. 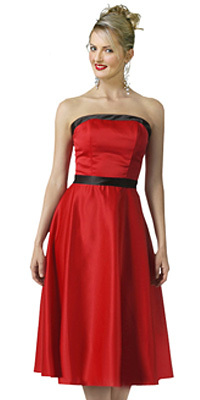 This dress is a strapless and it has black color bands on the neckline and also the waist line. This dress has skirt that is breezy and easy to carry. All these features make this dress a perfect wear to any casual events.